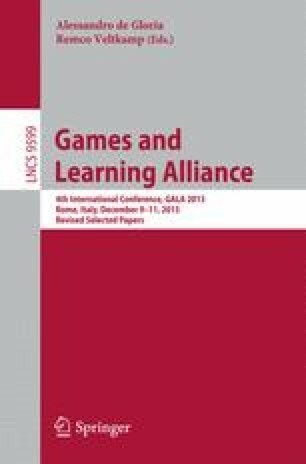 In this paper, a two-player digital game is presented, that attempts to balance the exciting game content and story-driven elements mostly associated with games in the entertainment industry with a serious game agenda. The latter focuses on teaching children aged 7–10 the importance of understanding the benefits of cooperation as well as expressing trustworthiness. Gamification of Prosocial Theory has led to several game mechanics being redefined, in order to turn traditional games’ elements of competition into cooperation evaluation mechanisms. Using these mechanisms, children are called upon to adapt their gameplay behavior towards expressing prosociality and understanding each other’s needs. Our experiments solidify this concept, by showcasing promising indications on the game’s potential to help children understand when it is a good idea to adopt a prosocial behavior.